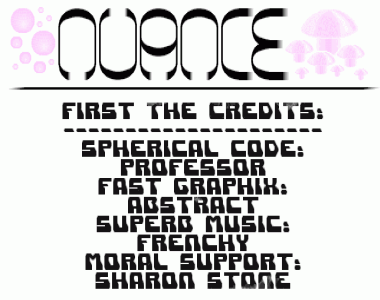 Nuance - THEY are sceners by heart. Always where - and hopefully always be. not much to see here but the "shadebob" :D writer looks pretty neat. page created in 0.013730 seconds with 15 queries.